Welcome – Only One More State is Needed……..Georgia! Mission Statement: Ratify ERA, Georgia! shall work to facilitate the passage of the ERA in the State of Georgia. As a non-partisan organization, we shall seek support from all citizens of Georgia while we work to gain equal protection for every person. It is past time for Georgians to ratify the ERA. As part of the Three State Strategy, the Nevada Legislature passed ERA legislation in March 2017. The Illinois Legislature ratified the ERA March 2018. Now only one more state is need to accomplish ratifying this Constitutional Amendment and Georgia should be the state that captures this honorable place in history. The Equal Rights Amendment was first introduced in 1923 and was originally written by Alice Paul and Crystal Eastman. In 1972, it passed both houses of Congress and was submitted to the state legislatures for ratification. 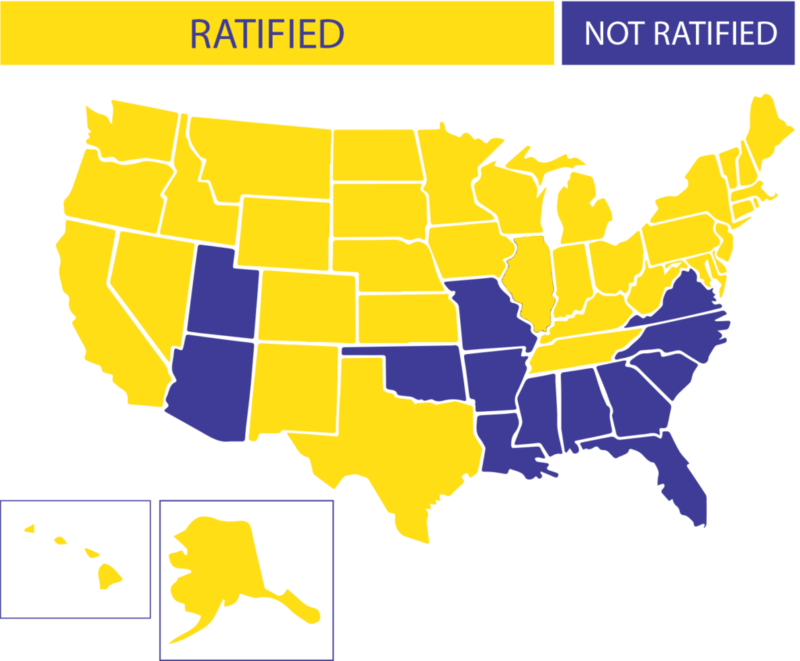 Passage fell short of the required 38 states with just 35 states ratifying the amendment. Read more ERA history at the links below. The Congress shall have the power to enforce, by appropriate legislation, the provisions of the article. Paid for by Equal Rights Amendments Georgia, Corp. All Rights Reserved. Copyright 2018.